Founder, Charles Hawkins II, P.A. Charles J. Hawkins, II is a native of Orlando, Florida. He is a Phi Beta Kappa graduate of Morehouse College in Atlanta, Georgia with a major in Finance. Hawkins also holds a Master of Business Administration and a Juris Doctor Degree, both earned at Columbia University in New York City. Hawkins is the founder of the Law Firm of Charles J. Hawkins II, P.A. He specializes in contracts law and governmental relations. 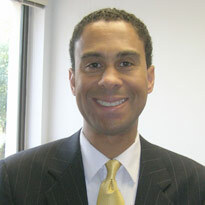 Prior to starting his law practice, Hawkins was an Assistant County Attorney with Orange County Government in Orlando. He was primarily responsible for completing transactional projects for various county departments and divisions. Hawkins also served as the primary attorney advising county officials and employees on ethics, public records, gift, and opening-meeting laws. Further, Hawkins has served as an attorney with Universal Studios Florida ("Universal"). His duties included drafting contracts for various Universal departments and managing the company’s minority business program. Hawkins has held additional positions in the legal profession, private industry, and government. After graduating from law school, he served as an attorney with Holland & Knight in Orlando. In that capacity, Hawkins was a member of the legal team for the Central Florida Regional Transportation Authority, a.k.a. LYNX. With respect to his private industry employment, Charles served as a financial analyst with The Chrysler Corporation in Detroit, Michigan. In addition, he has interned at The Coca-Cola Company and Coca-Cola USA in Atlanta; Columbia Pictures, Inc. in New York City; and Washington Shores Federal Savings and Loan Association in Orlando. Hawkins has worked in government at the federal and local levels. His government experience has included a legal internship on United States Senator Edward M. Kennedy’s Judiciary Committee staff. Also, Hawkins has interned for United States Senator Richard Stone and United States Congressman Bill Nelson. Furthermore, he served as an aide to Orlando Mayor Bill Frederick and to the Vice-President of Governmental Affairs for the Greater Orlando Chamber of Commerce. In August 2001, he was appointed by Orlando Mayor Glenda Hood to serve on the City of Orlando Municipal Planning Board. That board is the local planning agency responsible for the city’s Growth Management Plan. Hawkins’ civic affiliations include the following: St. Mark A.M.E. Church; Co-Chair, Frederick Leadership Initiative; Co-Chair, ―Salute to Mayor Bill Frederick‖ Dinner (2013); Board Member, Central Florida Sports Commission; Board Member, Urban ReThink Foundation; Board Member, Nap Ford Charter School; Advisory Board Member, Florida A&M University College of Law; Past Chairman, Florida Children’s Hospital Foundation Board; Past Board Member, Ronald McDonald House; Past Board Member, The Christian Service Center; Past Board Member, American Cancer Society; and Leadership Orlando (Class 22).